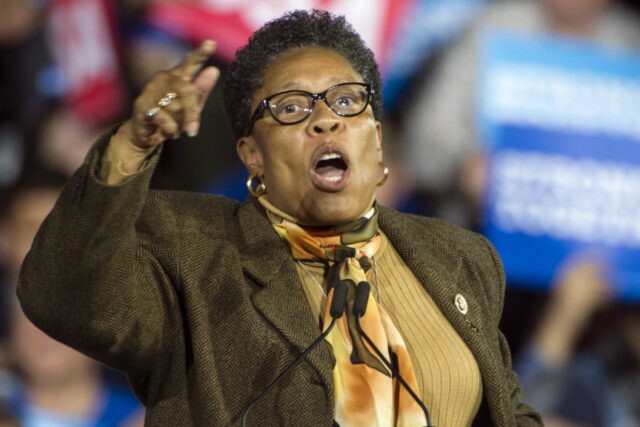 WASHINGTON (AP) — Democratic Rep. Marcia Fudge of Ohio, who is considering a run for speaker of the House, is walking back her past support for a man suspected of stabbing his ex-wife on Saturday. Fudge was among several officials who wrote letters of support over recent years for Lance Mason, a former county judge and state senator who pleaded guilty in 2015 to beating Aisha Fraser Mason so badly that her face required reconstructive surgery. Aisha Fraser Mason, a schoolteacher and mother, was fatally stabbed Saturday. Lance Mason is a suspect in the slaying and is likely to be charged, authorities said Monday. Police said in court documents the ex-judge was fleeing the scene of the homicide when he slammed his SUV into a patrol cruiser. The Plain Dealer in Cleveland reported that in August 2014 Mason had punched his then-wife 20 times and slammed her head against the dashboard of his car five times, breaking her orbital bone. Dozens of letters were written on Mason’s behalf between his arrest for that attack and when his disciplinary case went before the Ohio Supreme Court in October 2017. Judges who worked with Mason, and prominent lawyers were among those who wrote in support of Mason. Cleveland 19 News tweeted a copy of a letter Fudge wrote to the local prosecutor. “Lance accepts full responsibility for his actions and has assured me that something like this will never happen again,” Fudge wrote in the letter. Some Democratic members of the House have been encouraging Fudge to challenge Nancy Pelosi for the job of House speaker. She told reporters Friday she would weigh the decision with her family over the Thanksgiving holiday.